Why I Became a North Carolina Litigation Attorney. Tiffany found her way to the practice of law while working in a top-performing channel of a global corporation. 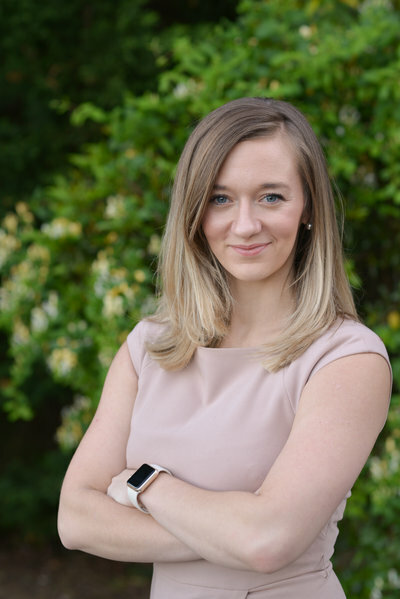 Determined to become an attorney, she attended law school at night while increasing her knowledge of complex commercial issues through hands-on experience during the day. Tiffany's corporate experience gives her an operational perspective as she focuses on resolving your civil dispute, including fiduciary litigation and zoning and land use regulation. In her free time, Tiffany enjoys adventuring with her husband and two dogs.